The Inspector of Prisons had said prisoners in the unit were inactive and the unit was ‘dirty’during his visits. MINISTER FOR JUSTICE Frances Fitzgerald has announced that the Separation Unit, which was the subject of criticism in a report by the Inspector of Prisons, has now been closed down. The news comes just two days after the minister published the report, which was first handed to her in July by Judge Michael Reilly. It uncovered deficiencies, bad practice, overcrowding, and a lack of regimes. In the report, Reilly described prisoners in the unit as inactive and said there was a “general air of neglect and decay”. On his visits, the Inspector also found the unit to be “dirty”. He recommended that the unit should play no further part in the Irish Prison Service Estate and that it should be closed and the building be decommissioned. Today, Fitzgerald said that a decision was taken to close the unit as soon as possible, once the Inspector’s concerns were raised. 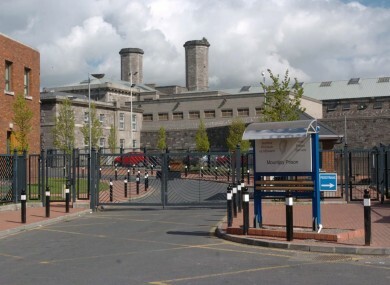 The Irish Prison Service put a plan in place for the closure of the Unit on a phased basis with the relocation of the prisoners commencing immediately. The number of prisoners accommodated there reduced initially from sixty to forty and then reduced to twelve at the end of August. I can confirm that the remaining prisoners were removed from the Separation Unit on Friday 12 September. The minister said the government is committed to ensuring that our prisons “conform to the highest national and international standards in terms of physical accommodation and the regimes offered to prisoners in our care”. Email “Mountjoy unit with 'air of neglect and decay' closed after damning report”. Feedback on “Mountjoy unit with 'air of neglect and decay' closed after damning report”.